MELASMA affects approximately 6 millions Americans, with 200,000 new cases reported each year, according to the Mayo Clinic. 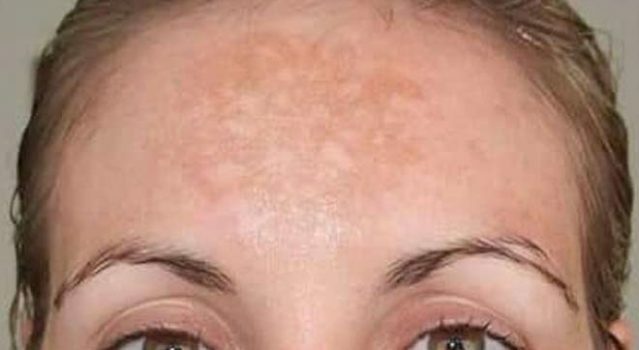 Melasma is a type of hyperpigmentation that causes skin discoloration in the form of light and dark patches that generally show up on the face around the nose, forehead, cheeks, and upper lip. Chemical Peeling Agents found in VersaPeel exfoliate the skin with five acids and three skin lighteners. This potent combination helps reduce blemishes, scarring, and excess oil and remove dead skin cells, creating skin uniformity, balance, skin radiance and overall improved skin health. Growth Factor & Stem Cells found in HylaCell Growth Factor stimulates cell-to-cell communication to initiate cellular repair, regulation, regeneration to restore the natural skin balance and youthful appearance. Start using VersaLift Advanced Eye Restore + Lifting Cream and VersaLift Neck Restore Lifting Cream with advanced VersaSphere encapsulation technology to exfoliate dead skin while delivering intense hydration, stimulating collagen production, and delivering an overall firmer tighter appearance. Skin Lightening Mask found in VersaMask Lifting + Firming 24K Gold Mask calms skin, lightens and brightens skin, reduces lines/wrinkles, and provide an overall anti-aging benefits. Epidermal, develops around the upper layers of the skin and the easiest to reduce of the three. Dermal, develops inside the deeper layers of the skin and takes more time to reduce. Mixed type, which is a combination of epidermal and dermal.